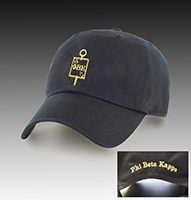 The Phi Beta Kappa hat is a soft, black, unstructured baseball-style cap. 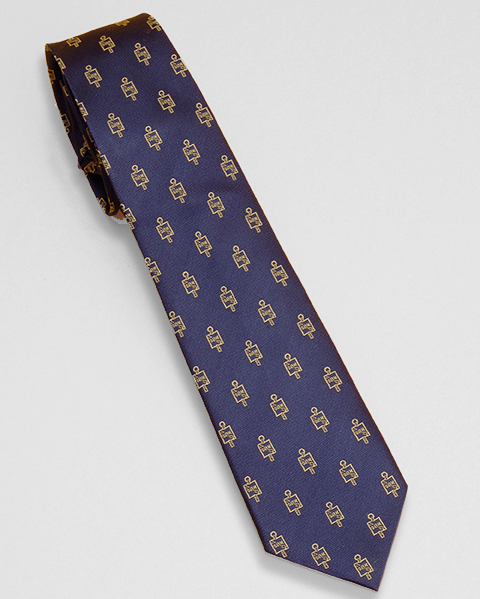 Made of 100% cotton twill. 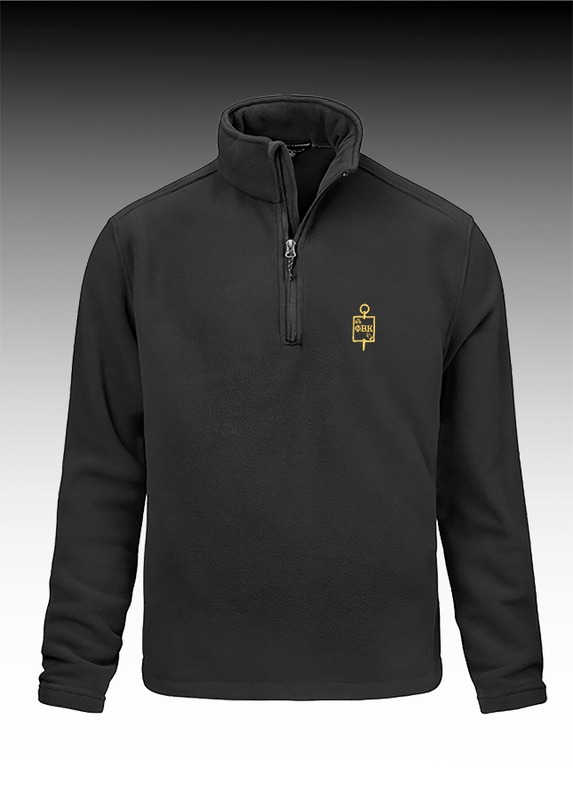 Black with gold embroidery, key on the front, Phi Beta Kappa on the back. Adjustable buckle strap. The Phi Beta Kappa Journal is black leatherette. Approx 100 lined pages with elastic strap closure. 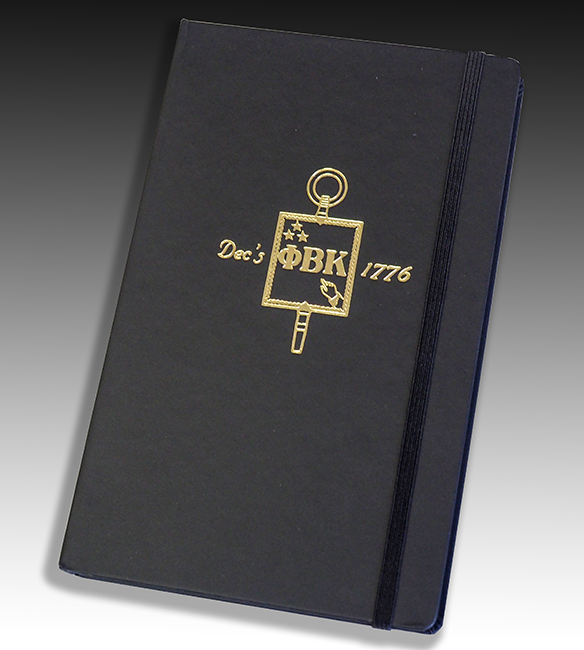 Embossed with the Phi Beta Kappa insignia. 8.5" x 5" Not Personalized. 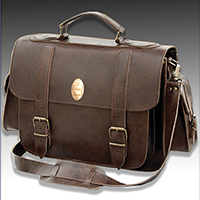 Brown leather shoulder bag - satchel with shoulder strap. Made in England. 10.5"(H) x 13.5"(W) x 5"(D). 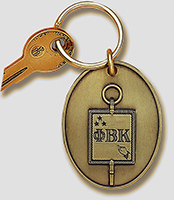 Gold Plated Phi Beta Kappa insignia. Not personalized. 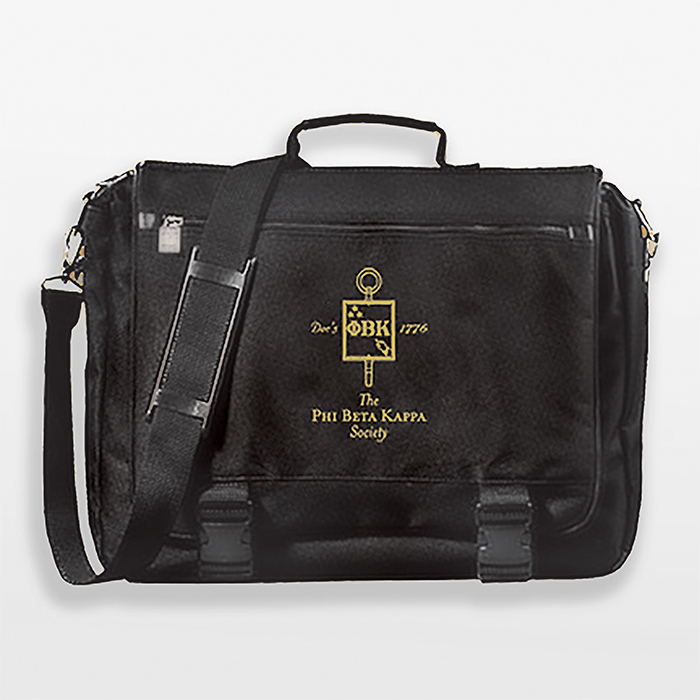 The Phi Beta Kappa Messenger Bag is made of black canvas printed with the Phi Beta Kappa Key insignia on the front flap. 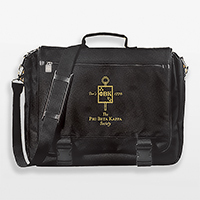 Inside, there a plenty of pockets and zippered compartments for treasures. The bag is 14 x 12 inches. It is not personalized. 2 1/2 inches high. 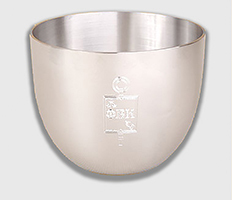 Polished pewter, engraved with the Phi Beta Kappa insignia. Not Personalized. Four inches high. 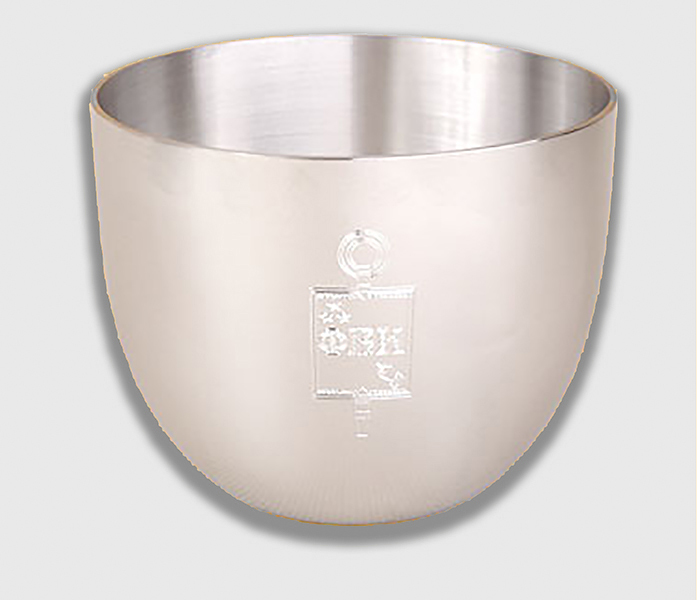 Polished pewter, engraved with the Phi Beta Kappa insignia. Not Personalized. 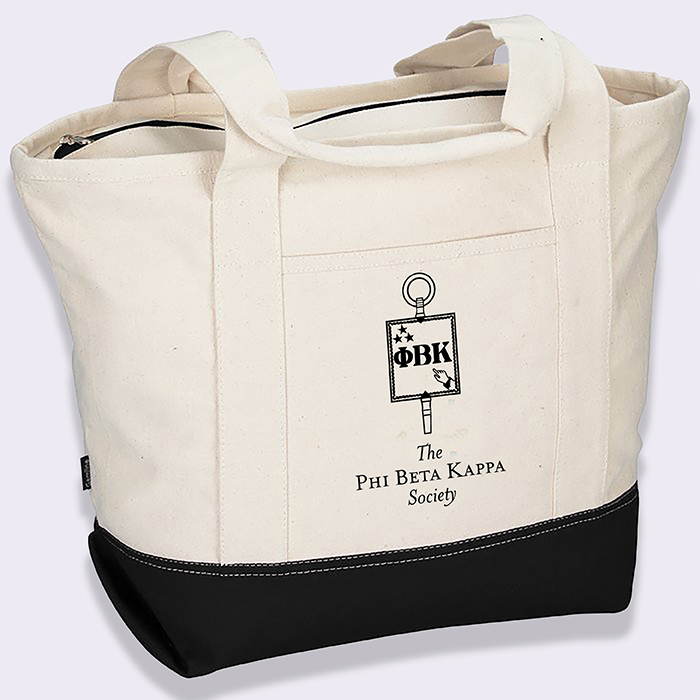 The Phi Beta Kappa watch is available in two sizes. The large watch, often worn by men, is 1 1/2 inches across. The watch has a brown leather strap and a quartz movement. 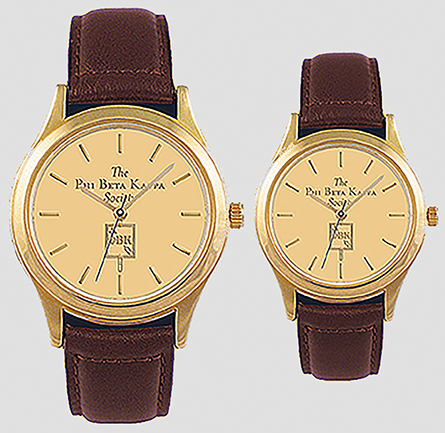 The Phi Beta Kappa watch is available in two sizes. The small watch, often worn by women, is 1 inch across. The watch has a brown leather strap and a quartz movement. 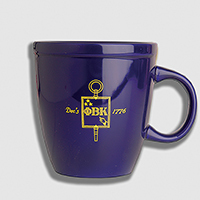 The Phi Beta Kappa Coffee Mug holds 18 ounces of your favorite brew. It's made in dark blue fired ceramic. It is dishwasher and microwave safe. The Phi Beta Kappa insignia is printed on both sides. It is not personalized. 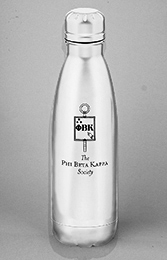 The Phi Beta Kappa Vacuum Water Bottle is made of stainless steel. It will hold 17 ounces. With the Phi Beta Kappa insignia printed. Ten inches tall. Double wall contruction for insulation. 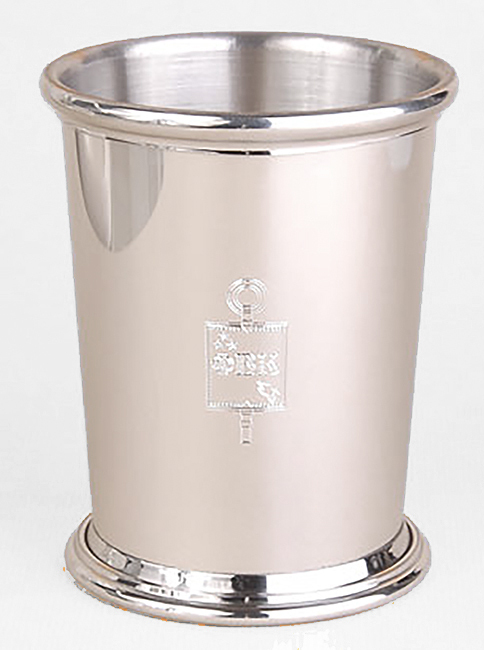 screw on, spill-resistant lid, wide mouth opening It is not personalized. The Phi Beta Kappa bow tie is made of 100% silk, deep blue in color, and woven with the key insignia in gold. 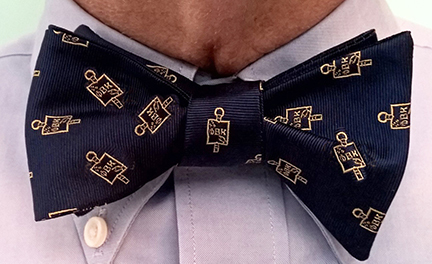 It is a self-tie bow tie and is adjustable for different neck sizes. Not Personalized. Four inches long. 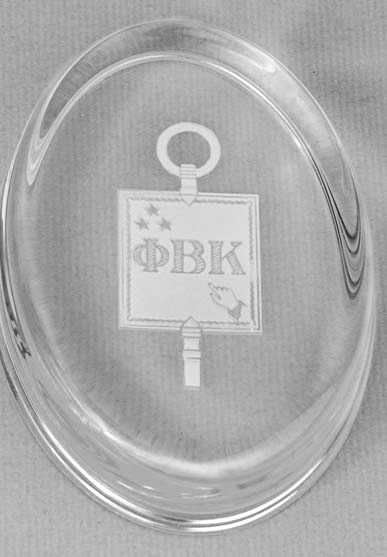 Polished crystal, etched with the Phi Beta Kappa insignia. Not Personalized. The Phi Beta Kappa Key Ring is made of solid brass. 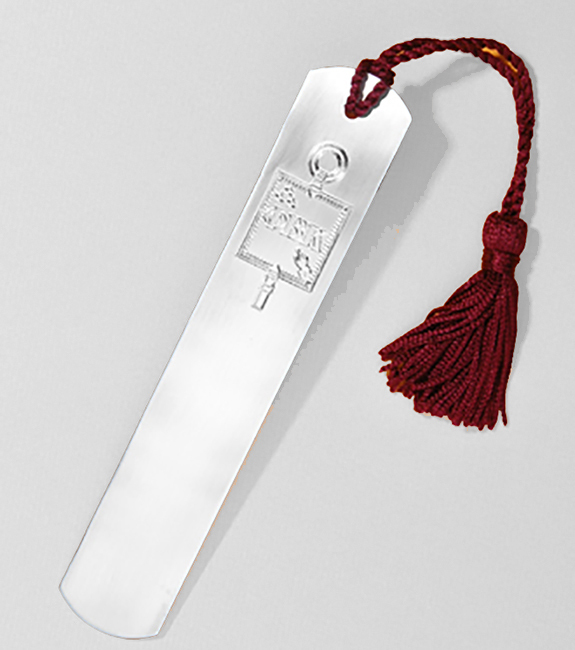 Engraved with the member's name, college and year of election. 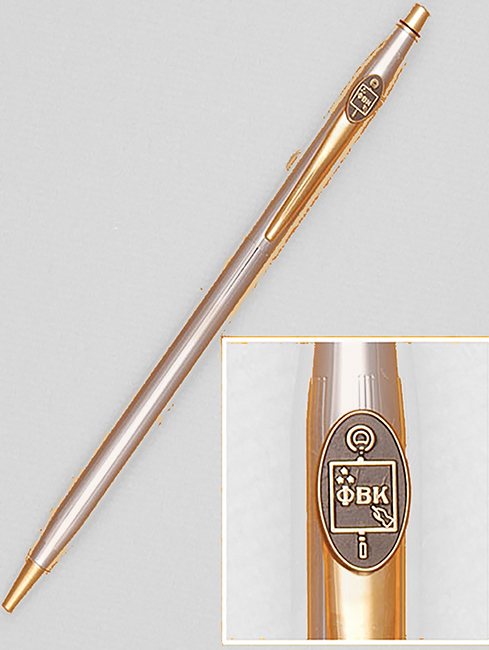 The Phi Beta Kappa Pen is a Cross Ball Point pen, silver chrome finish with gold accents. 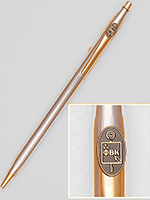 The Phi Beta Kappa insignia is attached near the top. Not personalized. 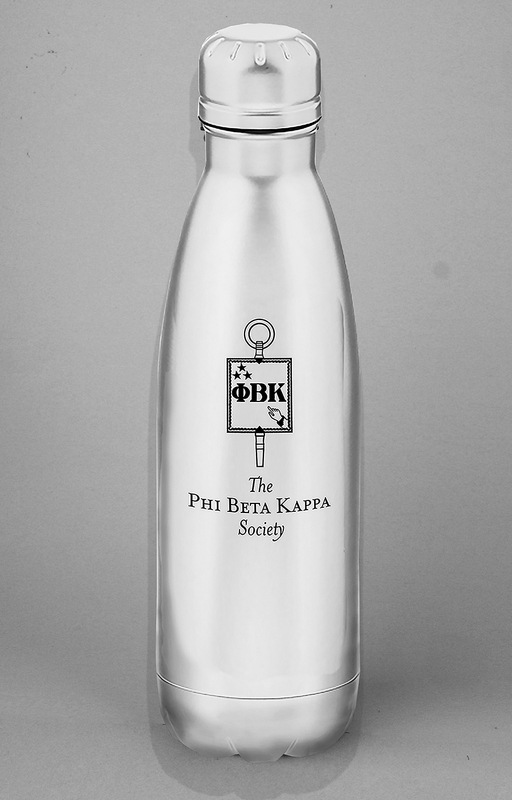 The Phi Beta Kappa Book Mark is made of solid pewter with a satin finish and the Phi Beta Kappa key insignia embossed. Not personalized. 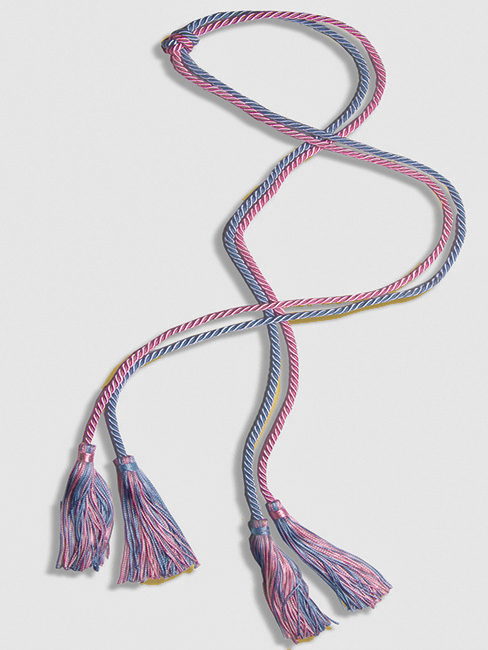 The Phi Beta Kappa Honor Cord in the Society's official colors. Two braided cords with tassels, approx. 58" long overall. Not Personalized. 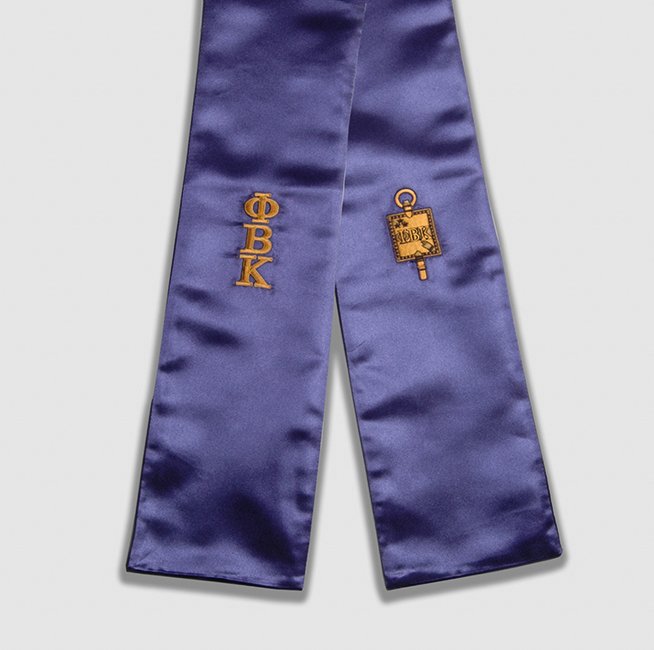 The Phi Beta Kappa Honor Stole in blue with gold embroidered key insignia and greek letters. Approx. 36'' long. Not Personalized. Personalized items are not returnable. 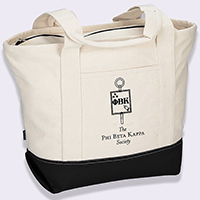 Orders can usually be shipped within three weeks of receipt and verification of membership.